Submitted by Dan Dooré on Wednesday, May 23, 2018 - 12:47. SimCoupe emulates a SAM Coupé on Windows, DOS, Linux, Solaris, BeOS, QNX, MacOS X, Amiga OS4, Pocket PC and now the Sony Playstation Portable (PSP). Work on SimCoupe was started back in 1996 by Allan Skillman as a Linux-based project called XCoupe. 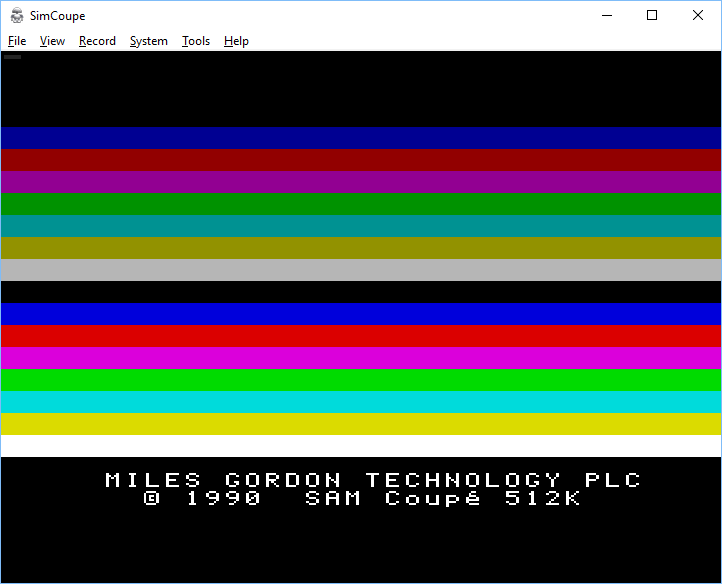 XCoupe was written originally ‘hacked in’ in C++ and then re-written in ANSI C. This version was then extended into a Win32 port by Simon Owen called WinCoupe. Simon took over the project and re-wrote the entire program merging the WinCoupe features back into SimCoupe and adding a plethora of extra ones including Dave Hooper ’s native SAA1099 Sound support, floppy disc and ATOM support.